Does glyphosate cause cancer? Scientifically, the evidence is mixed. 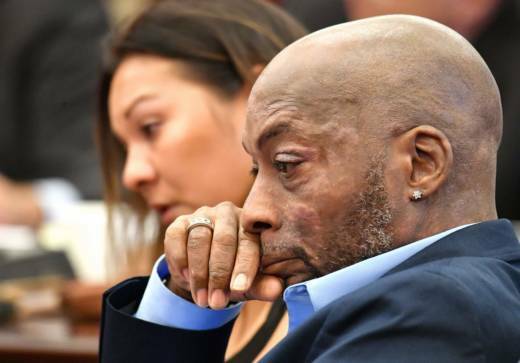 In San Francisco Superior Court last year, a jury sided with Dewayne Johnson, a Bay Area groundskeeper with non-Hodgkin's lymphoma who’d used Roundup extensively in his work. The jury awarded Johnson $289 million, an amount later reduced by a judge to about $78 million. In a federal district court last month, another jury concluded that glyphosate significantly contributed to Edwin Hardeman’s cancer diagnosis, awarding him about $80 million. In both cases, Monsanto and Bayer’s lawyers announced they would appeal. The way that the legal process handles the science around glyphosate reveals a tension between the way judges and juries deliberate, and the way scientists do. Roundup is the most widely used agricultural chemical in history. It's an effective broad-spectrum weedkiller used on both large farms and in suburban backyards. Monsanto has marketed the herbicide since the 1970s. When the company’s exclusive patent ran out in 2000, other companies also began spreading glyphosate, Roundup's active ingredient, in their own Roundup-style products. So the use of glyphosate has been skyrocketing, and the chemical has been found in common grocery items. According to the Food and Drug Administration, glyphosate residue levels don’t violate standards set by the Environmental Protection Agency. But the weed killer has been found in almost half of corn, soybean, milk and egg samples, according to the FDA, which last fall said the results of testing for glyphosate in those foods would eventually be posted here. Monsanto likes to say that glyphosate is less toxic than table salt. That’s technically true. Toxicologists measure the point (known as LD50) at which half or more of the people exposed to a substance die from it. Glyphosate has a higher LD50 value than table salt, which means it would take more glyphosate than salt to kill someone in a lab test. But that's not the issue at stake in these court cases, which revolve around whether or not long-term exposure to glyphosate causes cancer. In humans, research has yet to find a statistically significant connection between cancer and glyphosate -- possibly because there isn’t any or maybe because people are exposed to a lot of carcinogens, and generally it’s hard to tease out the effects of just one. So this is an area where opposing experts in court spend a lot of time debating. Meanwhile, oversight bodies around the world have come down on different sides of the issue. The World Health Organization decided glyphosate was a probable human carcinogen. The European Food Safety Authority concluded that it probably isn’t. In the U.S., the EPA says glyphosate “has low toxicity for humans.” But California has listed glyphosate as a known cancer-causing chemical. What do the people who claim Roundup gave them cancer need to prove to win? The lawsuits that courts are considering, in California, in federal courts, and in other states, are civil claims, focused on questions of product liability. The plaintiffs assert that Roundup had a design defect that made them sick, and that its manufacturer had a responsibility to warn them about it. They also claim Monsanto was negligent in selling the weed killer, and that the company violated an implied warranty that the product is safe. Specific causation -- the idea that the glyphosate in Roundup caused or significantly contributed to cancer for each person who says they were wronged. Well, can the plaintiffs prove that? In terms of the law, maybe. But in the U.S. legal system, decisions are made according to an understanding of science at one moment in time, even though that understanding may evolve. Another difference is that in civil cases, the legal standard for liability is a “preponderance of the evidence,” which you can shorthand as a greater than 50 percent chance that something is true. Effectively, then, scientific certainty isn’t necessary for legal decisions finding Roundup responsible for cancers. Who decides what science to use in courtrooms? “[Judges] have to examine whether the scientific basis for the offered expert testimony is valid or not valid,” says UC Hastings’ David Faigman. Still, judges may decide to interpret that responsibility differently. Federal district Judge Vince Chhabria is overseeing close to 400 cases, and presided over the Hardeman trial that recently wrapped up. During the proceedings, he held a “science week,” in which experts in cancer, toxicology, epidemiology and other specialties testified and faced cross examination. In the end, Judge Chhabria divided the civil trial into two parts, asking the jury to first decide whether glyphosate contributed to Hardeman’s cancer, and then to decide on penalties. Some state courts follow a similar analysis for expert testimony, but in California the standard is based on older case law, which is more favorable to plaintiffs. That is one reason, says Faigman, that plaintiffs’ attorneys may seek to bring cases here. So far, not Monsanto, though it’s still early. More cases are getting underway. In Alameda County Superior Court, lawyers are presenting evidence about the claims of Alva and Alma Pilliod, who used Roundup on multiple residential properties for nearly 40 years. Next month, another case heads to federal court, and that will also be tried by Judge Chhabria.